OK, I’m cheating a little here, as my copy of this book is *not* the Virago edition, but a nice, pre-loved old hardback kindly passed on to me by Simon at Stuck-in-a-Book! However, I’m still counting it for the LibraryThing Virago Group’s centenary read-along – so there! I sailed through Pym’s first book, “Some Tame Gazelle” and liked it very much, but for some reason it took me a little while to get going with EM. We are in similar territory to STG, in that our narrator is Mildred Lathbury, a 30-something, single, churchgoing excellent woman of independent means, who spends much of her time doing good works and sorting out other people’s lives and problems. Her part-time job is helping distressed gentlefolk (not a job title that would be around much nowadays!) and her spare time is devoted to her friends Fr. Julian Malory and his sister Winifred. Mildred also has an old school friend/ex flatmate Dodie, whose brother William was once a possible suitor. But Mildred seems set in her ways and resigned to a life of solitude and good works, until a new couple move into the flat below. Rockingham and Helena Napier are people out of Mildred’s usual sphere and cause instant disruption. Add into this Helena’s anthropologist colleague Everard Bone, and the new lodger at the Rectory, widow Allegra Gray – well, you end up with poor Mildred being taken very much out of her comfort zone! And yet – I found more ambiguities in EW, besides just the ironic use of the phrase. Pym doesn’t seem to be quite decided as to whether it is a good thing that these women are unattached and with a certain purposelessness. It isn’t just the women, either – William, with his fussiness and his pigeons and his greyness in his grey office with grey colleagues, is ultimately a sad figure and I ended up a little unclear as to whether Pym thought everyone should pair off or not. Certainly any marriage between William and Mildred would have been dreadful, but Pym doesn’t seem to be offering much of an alternative. Things are no clearer with the arrival of Mildred’s new neighbours, another pair but this time two ageing ex-governesses. They are very “jolly hockey sticks” and hearty and one wonders whether Pym was hinting at another solution to female solitude here. Another aspect I noticed more in EW was the fact that Pym and her characters seemed less satisfied with the usual assumptions of the period i.e that the women would cook and make the tea etc while the men sat around and talked and made decisions. This was only an undercurrent, but in some ways I rather wanted Pym to develop this a little more – maybe she will in future books! But the biggest ambiguity for me was the ending. Mildred is single – Julian Malory has been deserted by Allegra Gray and Everard Bone has escaped from the clutches of Helena. While dining with Everard and considering his suggestion she works on his book, Mildred also considers that she may have to defend Julian from future bands of excellent women. Is she actually considering taking either of them on full-time, because she thinks of herself in comparison to the late President of the Anthropological Society’s wife, which could mean she might actually marry Everard (she certainly finds him attractive!) I’m not sure this lack of clarity actually worked for me, as I would have preferred to know if Mildred was going to resist all attempts to pair her off, or give in to matrimony. If this sounds too critical, it isn’t meant to be – I enjoyed EW very, very much and I love Pym’s wit and way of writing. I just would have preferred her to take a little more of a definite line on things, but this is maybe a trait that will develop in her writing as I read through her books – looking forward to next month’s volume! I have to confess that this book has been one of my most anticipated reads of recent months. I’ve been eyeing it up for ages now, seduced by the rave reviews and the fact it’s a collection of long-lost Soviet satirical stories. I finally cracked and picked up a copy with some Christmas money, and dived in! 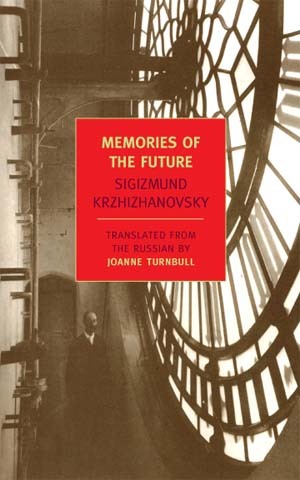 The fact that SK’s work is only just emerging is remarkable in itself and it’s a little frightening to think that such works have been buried for years under the Soviet machine – as Robert Chandler puts it in his introduction to the excellent anthology “Russian Short Stories From Pushkin to Buida” (which features “Quadraturin”) SK was “writing for the drawer” (as were other writers like Bulgakov). 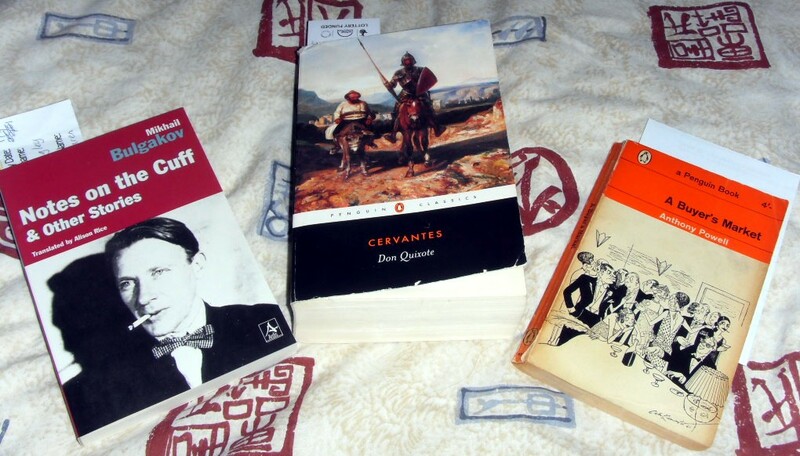 I have in fact read “From Pushkin….” some years ago which means I have read “Quadraturin”! 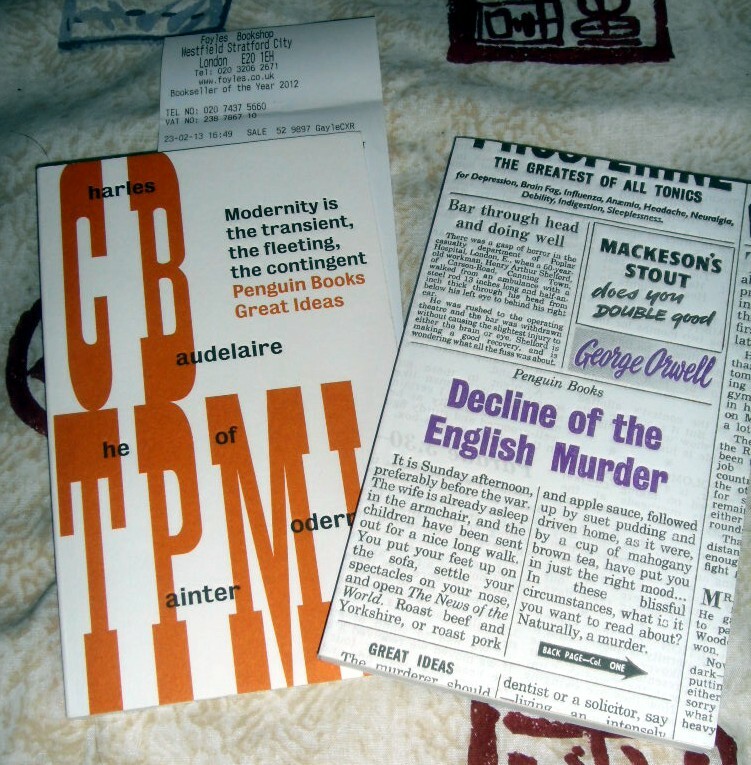 This was a surprise to me, and is, incidentally, is one of the reasons I started this blog – to try to record my feelings about what I read and fix my memories of books more firmly! of which the title story is the longest. The writing is individual, unusual and singular, and in some ways reminds me of Platonov with its dream-like, haunting quality. The first story *is* a little Kafka-like, dealing with a scientific invention to expand the inside of someone’s room (in a TARDIS-like way) to solve the housing problem (ah, the eternal Soviet housing problem!) But things go wrong, and the protagonist actually ends up lost in his own room! “The Bookmark” and “Someone Else’s Theme” are very much concerned with the telling of tales. The Soviet demand for only Socialist Realism in fiction was very much on the rise, at the expense of true tale tellers, and it was impossible to get something with a fantastic theme published. The Theme Catcher in the first story endlessly spins tales, with only the slightest stimulation needed from life around him to set him off. It is difficult to see these stories as anything else than the reaction of a spinner of romances to the authorities’ demands. “The Branch Line” and “Red Snow” both feature dream sequences and landscapes, beautifully written and entrancing. 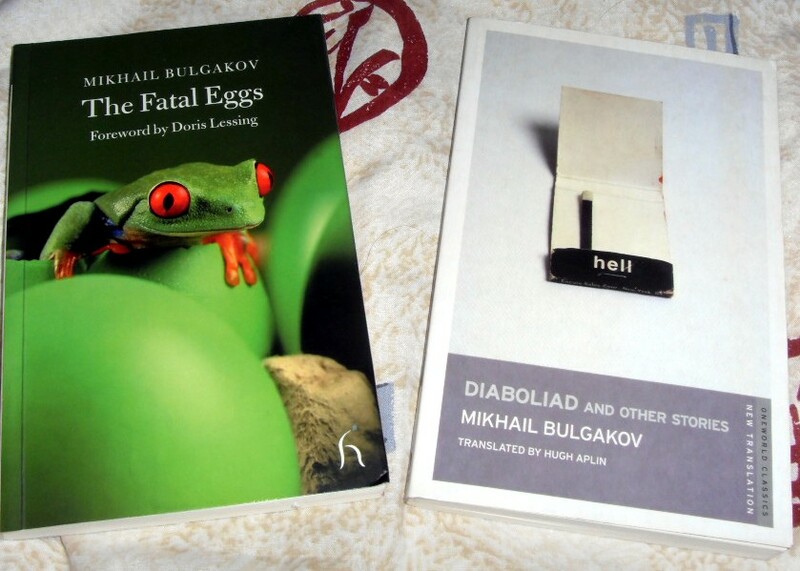 “TBL” is particularly wonderful, with a traveller apparently taking the wrong train and ending up in the world of dreams where night and day are inverted, and scary dreams are about to take over the real world (another veiled critique of the Soviet dream, perhaps?). The fantasy sequence is wonderfully written, with all the qualities of the best dreams (and nightmares!). Likewise in “Red Snow”, the protagonist encounters regularly a strange character called Saul Straight, while he is struggling to find food and work in a Russia is always cold and snowy (as in most of these stories). He ends up living through a very scary nightmare where he encounters the Russian people queueing implacably (as they do for everything) – this time, for logic! “The Thirteenth Category of Reason” features a corpse who is late for his own funeral – ’nuff said! The title story is a masterpiece – it tells the story of Max Shterer, who is obsessed by time from childhood and spends the rest of his life trying to conquer and supersede it. His quest to build a time machine spreads over many years, the first world war, the Russian revolution and civil war, plus the early days of the Soviet bureacracy. There is obviously some influence from Wells’ “The Time Machine” here – SK drops mention of the book into the text, and when Max finally gets to set off, he appears to move through time but not space in the same way as Wells’ hero. But there is a political subtext here not present in a straight sci-fi story – and what Schterer sees in the Soviet future is deemed too dangerous to let out (we do not even hear ourselves what it is) and after he is visited by a mysterious personage (Stalin??? ), he and his tale vanish. I find myself in a somewhat fragile state of mind today, after watching last night the final part of Vladimir Bortko’s magnificent TV adaptation. When the UK’s Sky Arts Channel showed their much-lauded (but not that great) version of “A Young Doctor’s Notebook” last year, they also snuck in this 2005 Russian TV show onto their second channel – without any hype or fuss or anything. I was initially wary, as I tend not to take to other people’s interpretations of books I love. But I shouldn’t have worried, as it was obvious from the first shots how much Bortko loves Bulgakov’s work and what a marvellous experience watching this show would be. The cast are magnificent – there could be the odd quibble (Woland is older in the show than his description) – but I thought they were just spot on. The sets were magnificent, the effects creditable, the music uplifting – I could rave for hours! There’s always the danger when adapting a long work of literature that the meaning will be lost, but Bortko stuck closely to the book, and the length and pace of the show allowed the themes to develop properly – no flashy, pointless, rapid-cut action or special effects, but proper acting and dialogue and scenes. 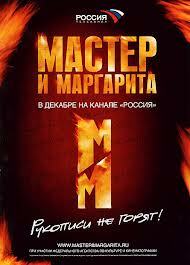 The acting was remarkably good and from what I’ve read online, the cast were Russian heavyweights. I was particularly taken with Koroviev, played by the late Aleksandr Abdulov, and his scenes with Kot Behemoth were a joy! Any negatives? Not really – I felt that episode 10’s final parting scenes were perhaps slightly truncated and we didn’t really say a proper farewell to Koroviev, Behemoth and Azazello. But the “horses flying to the moon” sequence was incredible and the whole episode was very moving. I’d recommend this series strongly to anyone who loves the book of “The Master and Margarita” – it is available with English subtitles, or maybe watch Sky Arts to see if it is shown again. There is also an excellent site here which has much information on the book and the show. I’m definitely up for a re-read now – if my emotions can take it! As a sidenote, it struck me during my obsession with this show how parochial we are in the English-speaking world. Initially my Internet searches brought up limited information on the show. However, when I had a lightbulb moment and hit Google Translate, then put in various search terms in Russian, I came up with a mass of results. We assume that all actors and filmmakers and tv shows are English and known to us. But in the same way as there is literature in many languages, there are whole industries producing multi-language culture. Many of these actors and film-makers are unknown to us, producing work only in their own tongues, yet what they are producing is incredible. Bortko in particular seems to be a film-maker worth watching as what I’ve seen so far of his version of “A Dog’s Heart” looks equally amazing in its own way. We need to look outside of our own culture because experiences like these enrich us. Firstly, thanks to everyone who took part in this Blog Hop and for all the lovely suggestions – much appreciated! Well done the winners and I will be in touch via email re addresses so I can send out the books soon! 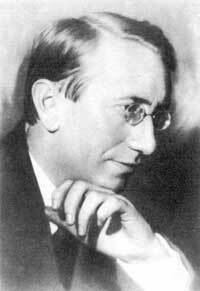 I confess to being well and truly sunk into a Bulgakovian frame of mind at the moment. The TV version of “The Master & Margarita” has me thoroughly hooked but I’m putting off a reading of the Hugh Aplin translation till it’s finished (today, alas!) So it seemed somewhat sensible to pick up my lovely Hesperus edition of another of the great man’s works (again translated by Aplin) to keep me going. 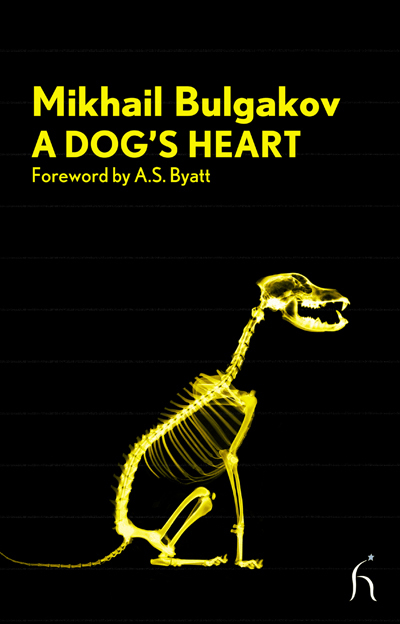 “A Dog’s Heart” is a much shorter work than M&M but is very well known and packs quite a punch! The initial narrator is a poor injured stray dog called Sharik. Scalded by a mean cook, out in the cold and ready to die, he is found and rescued by the eminent surgeon Philip Philippovich Preobrazhensky. Initially Sharik cannot believe his luck as he is taken back to a nice warm flat, fed and cared for, and in typical dog-like fashion he becomes devoted to the Professor. 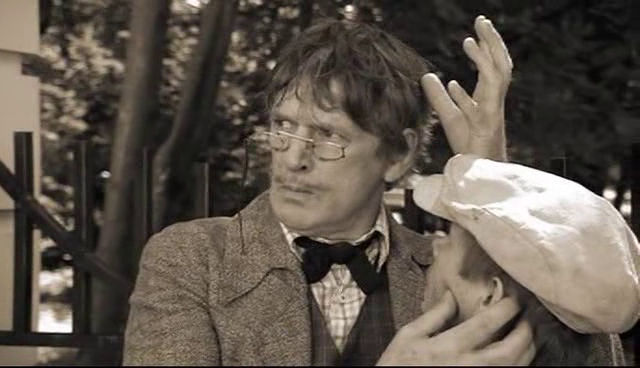 However, there is more to this kindness than meets the eye, as the Professor is caught up in the scientific crazes that were sweeping Soviet Russia and is planning a transplant operation that will put the glands of a human into the dog. And the results are surprising and shocking – the dog turns human but combines the worst characteristics of both! Remarkably, he takes the rather odd name of Poligraf Poligrafovich Sharikov and starts to move upwards in the hierarchy of the communist authorities. Meanwhile, the Professor is battling with the House authorities who want to take away some of his space and it is only the fact that he is surgeon to some high-ranking Communists that enables him to hold them off. Sharikov’s uncouth behaviour continues to get worse, he causes havoc in the flat, molests the women servants and generally disrupts the Professor’s life so much that it becomes unbearable. The end is maybe predictable but the only option available to the Professor, who has had his eyes well and truly opened by the results of his experiment. It’s a few years since I read this book, but I remembered it remarkably well. Bulgakov is such a great satirical writer – he captures the voice of Sharik wonderfully, giving him a distinctive doggy voice all of his own, much of which is retained when he becomes humanised. It’s a funny, tragic book and not afraid to tackle larger themes of the role of science vs the role of nature – as the Professor admits towards the end of the story, “Explain to me, please, why one needs to fabricate Spinozas artificially, when a woman can give birth to him any time you like”. 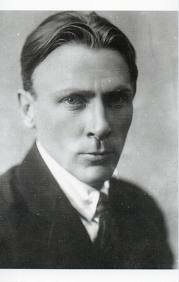 Bulgakov seems to be aiming his sights not only at the medical profession and the ethics of the scientific experiments they are undertaking (a subject also touched on in Platonov’s “Happy Moscow”) but also at a regime that could allow such a bizarrely created “human” to have a position of authority. 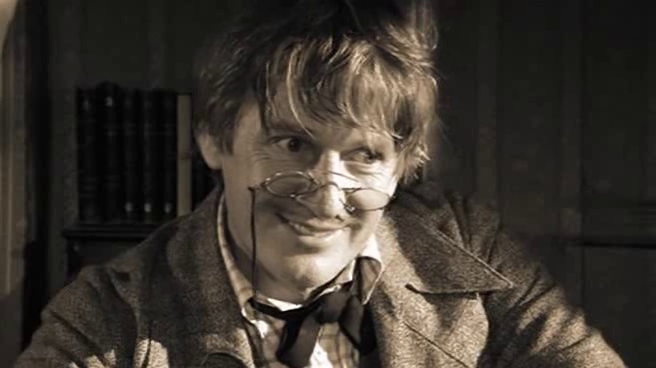 One of the things I love about MB’s characters is their moral ambiguity – the Professor is firstly perceived as well-meaning, then seen as possibly selfish and greedy against the backdrop of the Housing committee, then again as cruel in his operation on poor Sharik, but becoming once more a sympathetic person when we perceive what he is going through at the hands of Sharikov. Likewise, the dog is just a dog with all the usual traits, but once these are present in a human body they become completely unacceptable – although he fits in well with the new Communist Man and Woman, so perhaps Bulgakov was simply saying the new regime consisted of dogs!! And it’s fascinating to notice Bulgakov’s obsession with housing and space issues – obviously in the early days of the Soviet Union, large ex-nobility dwellings were divided up into flats, and as people fled from the country to the cities, the lack of living areas became a major problem. In fact, in M&M Woland refers to the housing problem having spoiled the Muscovites, and space is also an issue in one of the stories I’m currently reading, ‘Quadraturin’ from “Memories of the Future” by Sigizmund Krzhizhanovsky. For anyone with more than a fleeting interest in Soviet literature and satire, this is an essential read. The translation by Hugh Aplin is eminently readable, as usual, and comes with discreet and useful notes plus a helpful introduction. High recommended! 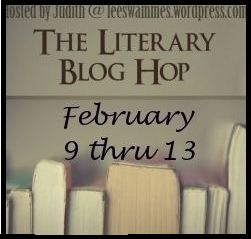 Well, the Blog Hop is now over and thank you for all your comments and suggestions! I will be asking Youngest Child to draw names out of a hat over the next day or two to pick the winners – so watch this space!